Anyone who has worked in the service industry for any amount of time knows that wage theft is rampant in the restaurant business. But allegedly, national pizza chain Domino’s baked a rigged system right into their payroll software. The New York Attorney General’s office has filed a lawsuit against Domino’s – both the parent company and the franchise, as joint employers – for systematically cheating workers out of money they were owed. 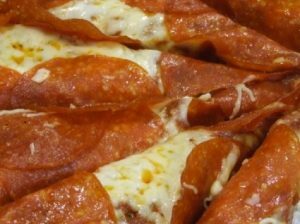 The lawsuit follows a years-long investigation that produced a digital paper trail from each franchised pizza shop straight to the corporate headquarters. The wage theft lawsuit, which names three franchises plus the corporate parent company, alleges workers were underpaid at least $565,000 at 10 stores throughout New York. This case marks the first time that the attorney general in New York has asserted a fast food corporation is liable as a joint employer for labor violations that occur at franchises. It’s a closely watched case because it could mean greater accountability throughout the industry if the attorney general prevails. It’s contended that PULSE, which is the software used by the pizza company to track worker job data, was set up in a way that resulted in under-counting worker wages, including their overtime and tipped earnings. Both the parent company and the franchises reportedly had to work together to facilitate the wage theft. Investigators say the parent company pushed the PULSE system on franchise operations for years, even though administrators and executives were aware that it under-counted workers’ gross wages. Updates were made to the PULSE system by Domino’s administrators multiple times a year. And yet, the company had deemed erroneous underpayments to employees a “low priority” issue. Requiring franchises to keep the prior staff at the store. Workers told investigators that corporate administrators pretend as if they known nothing about the operations of franchises, yet representatives are in the stores every month, conducting routine inspections for quality, cleanliness, number of visitors, etc. One thing they didn’t inspect was whether worker were getting paid minimum wage – and most were not. Meanwhile, a former driver in Houston, TX filed a federal lawsuit in U.S. District Court alleging the company illegally treated drivers as tipped employees and routinely paid them less than the federal minimum wage of $7.25 an hour. However, neither the the franchise nor the parent company tracked worker earnings, nor did they supplement those wages when the tips weren’t enough for them to receive that minimum wage.